I am creating some artwork for a animal keepers workshop next year. It will serve as the workshops logo. In it I plan to have a chalkboard that has the workshops information with a giraffe standing behind looking down at it and the tiger lying down in front of it. The reason why I chose these two animals is because they are focusing on hoofed animals and carnivores for next years workshop. In the future I might make another very similar one but with different animals. 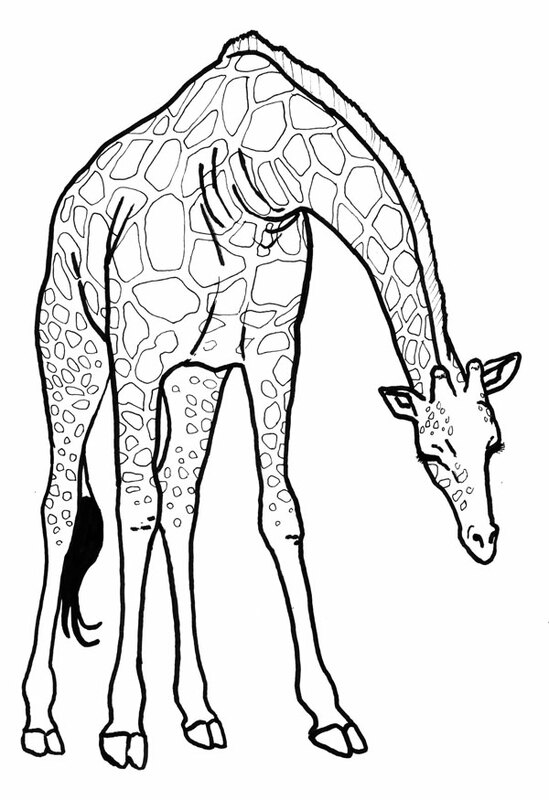 Both the giraffe and tiger will have a colored version. I’ll keep a black and white version which will look very similar to these pieces for use in black and white printings. I’ll “vectorize” both of these so they can be re-scaled. I was so impressed with your artwork in class last night that I was excited to see more. I must say I am not disappointed. You don’t need me to tell you how good you are with your art, including the very beautiful layout of your blog. Tasteful and complementary to the art. Congratulations!